It is our business to bring power, light, and communications to commercial and industrial businesses in southern Arizona. Whether you need high-voltage electrical or power distribution and maintenance, we handle it all. Working on industrial and commercial electrical projects requires greater technical expertise than doing typical home electrical repairs. Browse through our gallery and view the numerous, high-quality work our team has provided. Learn about Stark Electric Inc.
Stark Electric, Inc. is a full service commercial and industrial electrical contractor. We are capable of handling all of your electrical needs from a service call to designing and building a full size hospital facility. Stark Electric, Inc. is Licensed, Bonded and Insured. Our Current EMR is .69. Stark Electric, Inc. has a excellent safety record and has not had a lost time accident in over 8 years. 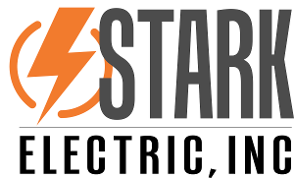 Stark Electric, Inc. is a family owned business with 33 years of electrical contracting experience. We are native Tucsonans and Bryan Stark is a 3rd generation electrician. Contact us today in Tucson, Arizona, for extensive electrical services by a qualified electrical contractor.